We can repair almost any issue on a broken iPad from a broken screen to a faulty lock button in Haverhill, Suffolk and the surrounding areas. Your iPad is important to you and we understand this. We aim to complete fix your iPad as soon as possible to help you on your way. All repairs are undertaken by experienced mendmyi qualified engineers who work using the highest quality tools and work station. Our experience has helped us gain extensive knowledge into iPad repairs which sets us apart from the competition. All iPhone repairs come with our standard 90 day warranty which matches Apple's own warranty time. We can repair almost any issue on a broken iPhone from water damage to a broken screen. We understand that your iPhone is important to you. We aim to complete the repair as soon as possible so that you are back on your way with a fixed iPhone. Our experience has helped us gain extensive knowledge into iPhone repairs which sets us apart from the competition. 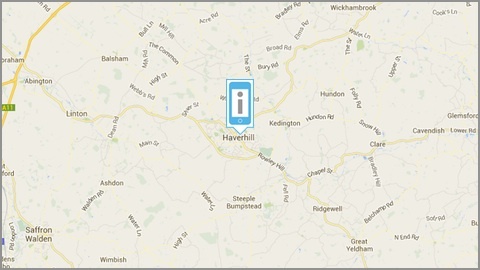 We can travel to you and fix your iPhone in Haverhill and the surrounding areas. A call out fee is applicable to any On Site repairs which is available by contacting us by one of the methods below. Locations available but not limited to Clare, Linton, Saffron Walden, Steeple Bumpstead, Great Yeldham and Sible Hedingham. We have a walk in shop at 29 Queen Street, Haverhill, CB9 9DZ where we can fix your iPhone in Haverhill. All of our technicians are fully qualified and we use our extensive experience in the iDevice repair market to offer the fastest repairs using the highest quality parts and the most skilled engineers. We share this shop with Queen Street Computers of Haverhill. The shop is open every day of the week except Wednesday and Sunday. Our standard repair time for this location is 1-3 days. Same day repair is available if you place your order and arrange an appointment in advance. You can do this by contacting us by one of the methods below.